Bursars, club secretaries, national contractors, council officers and committees know that En-Tout-Cas is a company that can be trusted to deliver quality tennis courts, hockey pitches, multi use games areas and athletics tracks. En-Tout-Cas have a long an unparalleled history of working with schools, colleges and tennis clubs. Our track record is built upon a history of working as a trusted partner - that’s why bursars, club secretaries, national contractors, council officers and committees know that En-Tout-Cas is a company that can be trusted to deliver. 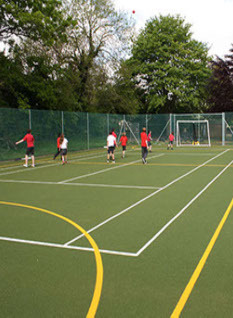 We have the expertise not only to undertake the construction of courts and pitches in public and private schools, but also to upgrade existing facilities, from simply overlaying with new surfaces, to complete reconstruction. We have the ability, and flexibility within our design team to achieve best value, without loss of performance or durability. Our in-house lighting design, coupled with our custom fencing ability, can offer huge savings by integrating dual use on various facets of the build. Into the design will be incorporated safe working practices and safety in use. Disabled access is not a problem. Impact resistance is required, how much? Decide which sports you need the surface for, and we can produce a surface and facility to do that job. En-Tout-Cas work for many clubs, both small and large, councils, schools, universities, many national contractors, landscape designers and architects, government bodies and military services. 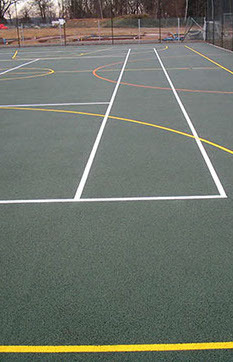 Multi-Use Games Areas provide terrific playing surfaces for a variety of games and sports including football, tennis, basketball, hockey, netball and roller-skating. Many of our team members have been with us for more than 25 years and deliver the highest standards of workmanship, skills, supervision and finished construction project. 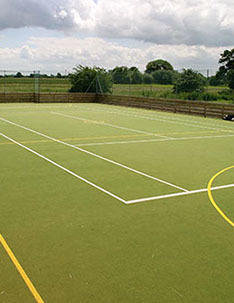 At En-Tout-Cas, we’re happy to explain the benefits and suitability of each surface, to give you the best possible sports surface for your needs.